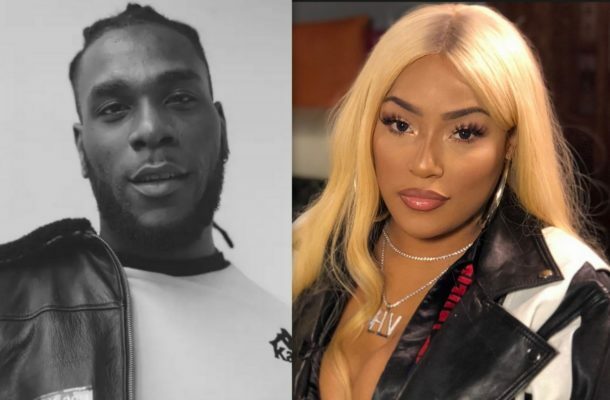 Nigerian singer, Burna Boy has confirmed he is in a relationship with British rapper, Stefflon Don. The controversial music star posted a video of himself and Stefflon Don getting cozy in bed. The Nigerian artist quickly deleted the video but not before fans download and circulate it on social media. She posted a message on Instagram Story after the video went viral, confirming that Burna his her new boo. In November last year, Drake hit up Stefflon Don on Instagram live and asked her out on a date. The British rapper, who is of Jamaican descent, said yes and days later they were both spotted out together. Before now, Stefflon Don has hinted about being in a relationship with a Nigerian but never really dropped a name.